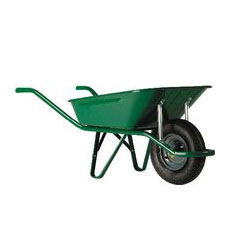 This Single Wheel Wheelbarrowis extensively applicable in gardening for carrying small loads and available in variety of colors and sizes. 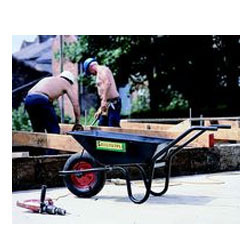 This wheel barrow is available with two wheels ad can easily be transported from one place to another. They are available in different capacities and highly durable. These products are highly appreciated for their compact sizes, low maintenance, long service life and perfect finish. Clients can avail a customized range of wheel barrows as per their requirement. 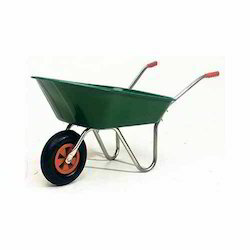 Traditional British wheelbarrow, with solid or pneumatic wheels has one piece pressed steel pan, all tubular one piece frame. Strong, durable wheelbarrow but easy to manoeuvre. Body and frame finish: black.